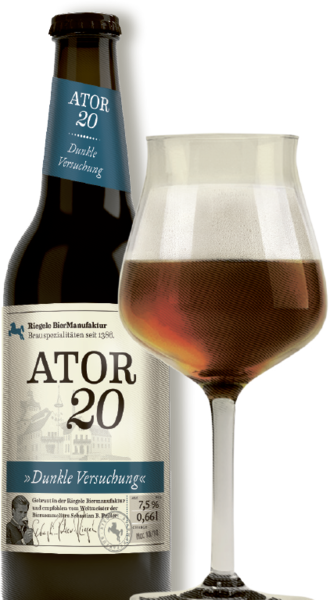 The fresh taste of Ator 20 results from its cold fermentation and long, cold maturation, 20° Plato, and strong-bodied malt. From fruity to malty, thin too vigorously strong, the Riegele Special Beer Selection offers a variety of fantastic global brewing styles. 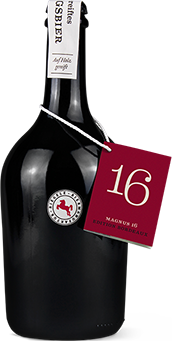 Auris 19 and Ator 20, one light and the other dark, are strong Bavarians with 19° and 20° original extract. A golden fire burns in Auris 19 and a dark, sultry haze lives in Ator 20. Try either beer with your next beef, pork, venison entree.